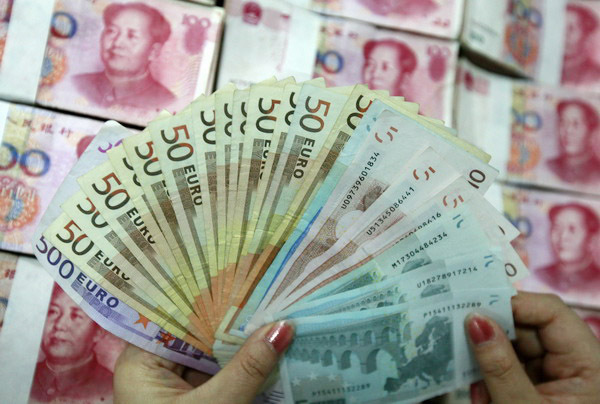 Now China and the IMF are in talks to include the Chinese Yuan as the Next RESERVE CURRENCY. Are you familiar with the SDR’s (Special Drawing Rights) !? The International Currency issued by the IMF held as reserves in central banks globally. SDRs are international foreign exchange reserve assets. Allocated to nations by the IMF, an SDR represents a claim to foreign currencies for which it may be exchanged in times of need. Originally created by the IMF in 1969 for members and prescribed holders to use their SDR holdings to conduct transactions with the IMF. The nominal value of an SDR is derived from a basket of currencies, with, specifically, a fixed amount of Japanese Yen, US Dollars, British Pounds and Euro’s, without RMB. How will CHINA’s move one step closer to becoming an OFFICIAL RESERVE CURRENCY effect your portfolio !? This entry was posted in Currency, Education, IMF, It's Only Paper, SDR's, Uncategorized by Adrian Rowles. Bookmark the permalink.